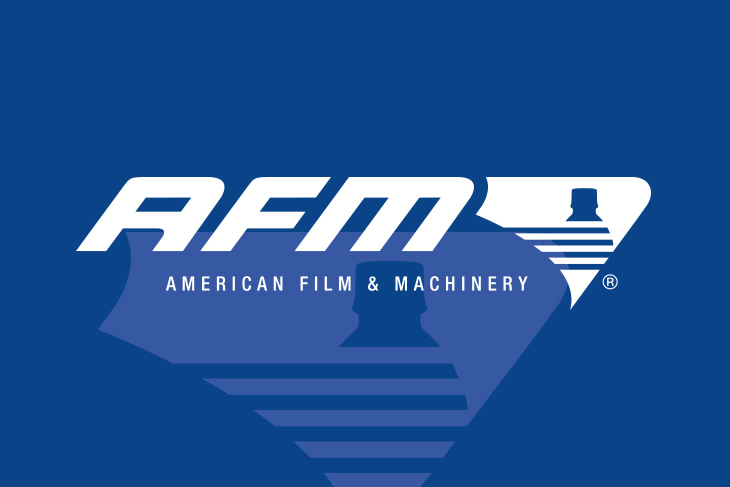 March 15, 2018, Brooklyn Park, MN – Squid Ink Manufacturing, Inc., a leading manufacturer of superior quality inks and ink jet printing equipment, introduces a new generation Squid UV® LED Curing System. 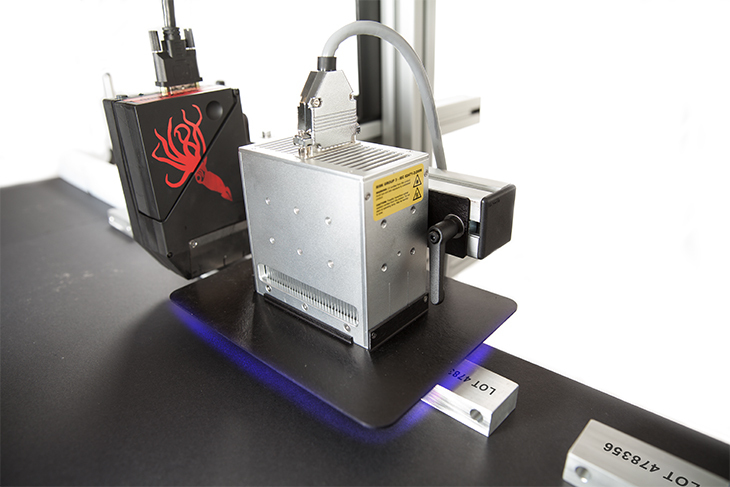 The Squid UV LED Curing System from Squid Ink offers accurate and consistent UV curing across a variety of commercial and industrial applications. 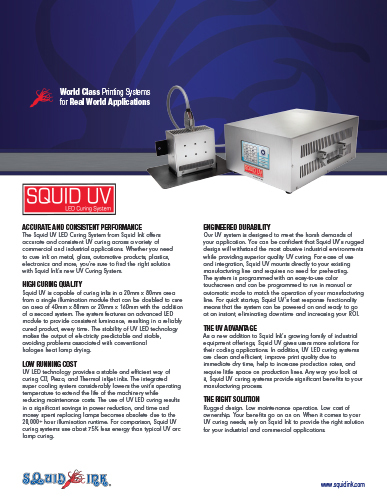 The Squid UV Gen 3 features a number of enhancements over previous systems. Squid UV’s new Gen 3 lamps provide 40% more output power when compared to previous models, offering more reliable curing across all UV applications. Along with the improved power output, the new generation dual controller increases application flexibility by featuring two separate trigger inputs that allow two UV lamps to be triggered independently from one controller. Increased safety measures have also been added to the third generation Squid UV system. 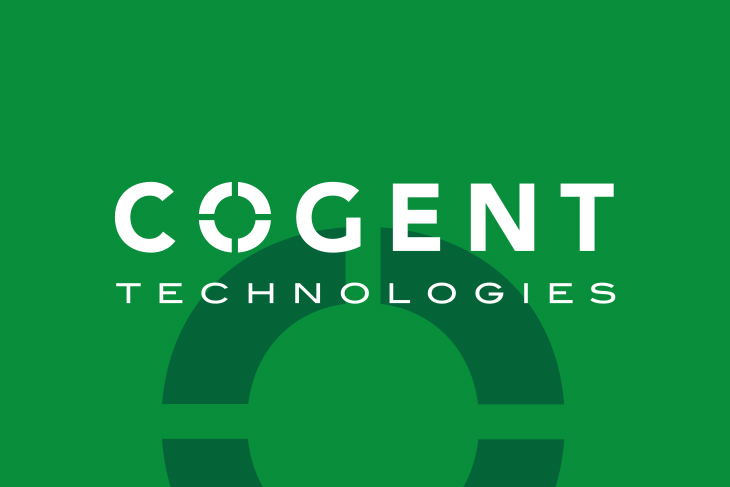 The Gen 3 controller has been configured to use an encoder to power the lamps on and off as the conveyor runs or stops, avoiding possible conveyor spot burn and reducing wear on lamps. 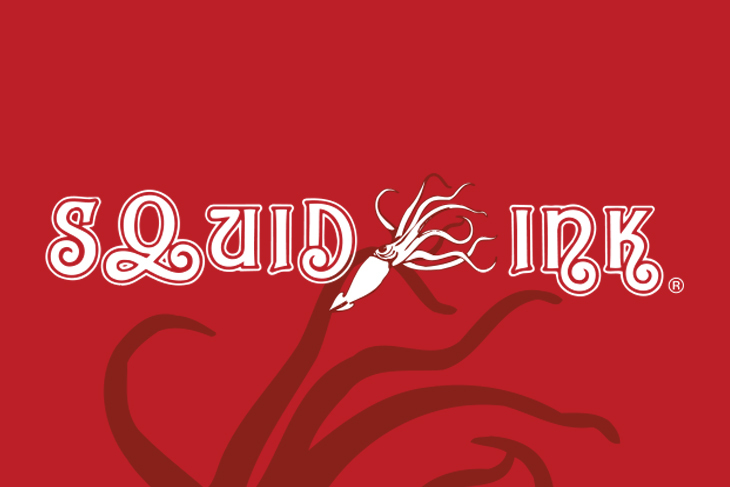 Squid UV Gen 3 is capable of curing ink in a 20mm x 80mm illumination area. The system features an advanced LED module with CHIP integrated technology to provide consistent luminance, resulting in a reliably cured product, every time. The stability of UV LED technology makes the output of electricity predictable and stable, avoiding problems associated with conventional halogen heat lamp drying. Squid UV Gen 3 offers instant on/ instant off performance, eliminating warm up or cool down times and streamlining your operation. Best of all, Squid UV LED curing is environmentally friendly, eliminating mercury bulbs, VOC’s and providing employees with a safer workplace. UV technology provides a stable and efficient way of curing ink. The integrated super air cooling system considerably lowers the unit’s operating temperature to extend the life of the machinery while reducing maintenance costs. The use of UV LED curing results in a significant savings in power reduction, and time and money spent replacing lamps becomes obsolete due to the 20,000+ hour illumination runtime. For comparison, Squid UV curing systems use about 75% less energy than typical UV arc lamp curing. 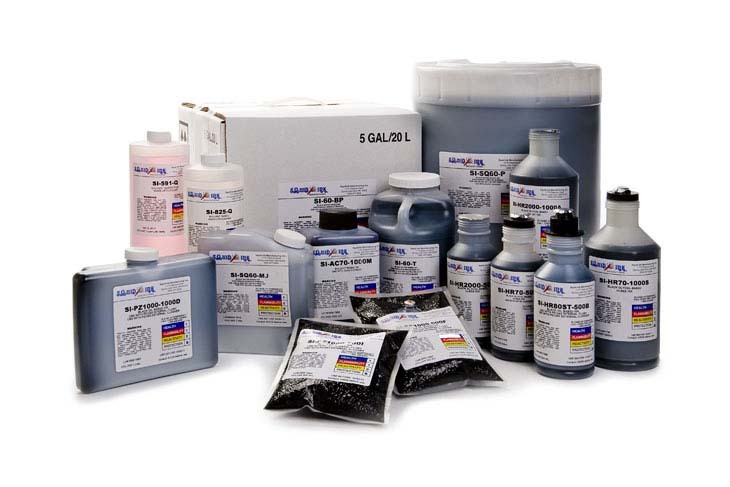 Squid Ink’s UV system is designed to meet the harsh demands of your application. For ease of integration, Squid UV’s small footprint design mounts directly to users’ existing manufacturing line and requires no need for preheating. 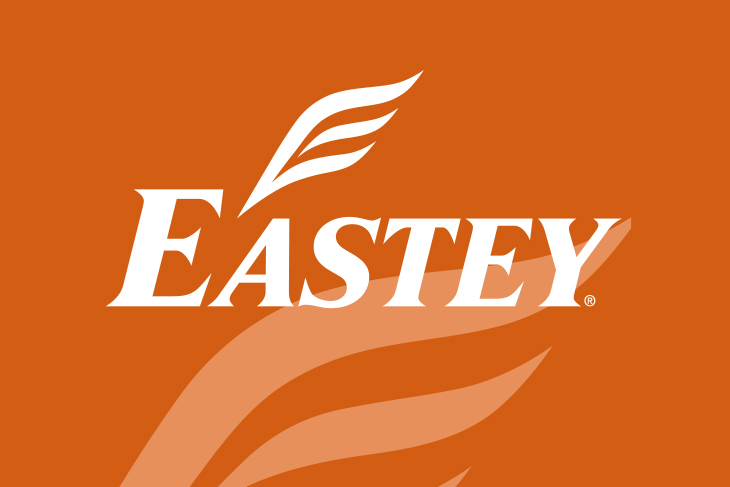 The system can be programmed to run in manual, semi-auto, and automatic mode to match the operation of your manufacturing line. For quick start-ups, Squid UV’s fast response functionality means that the system can be powered on and ready to go at an instant, eliminating downtime and increasing users ROI.